Their first league defeat since Matchday 14 notwithstanding, Hertha Berlin are still battling it out for a return to the European stage on two separate fronts after securing their place in the last four of the DFB Cup. A 2-0 loss at VfB Stuttgart dropped the capital club to after Matchday 21, behind Bayer 04 Leverkusen on goal difference. “The cup game took a lot out of us. We need to learn how to deal better with a two-tournament schedule. 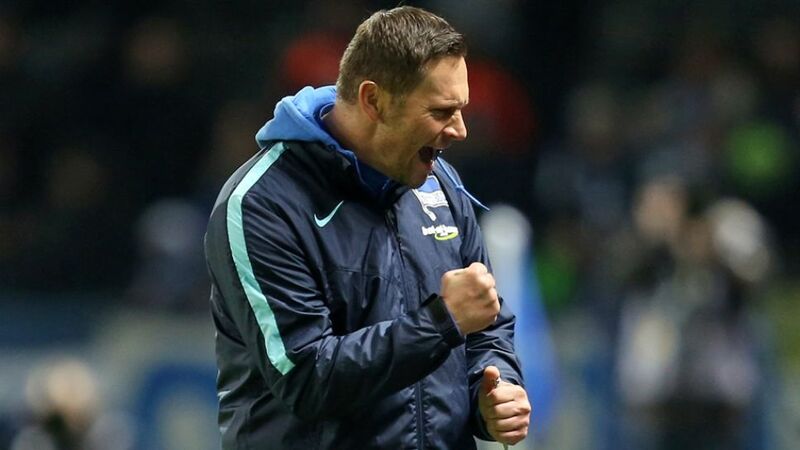 We were struggling over the final 20 minutes,” coach Pal Dardai summarised after the setback at upwardly-mobile Stuttgart. Earlier in the week, Hertha had to come from behind before eventually seeing off second-flight 1. FC Heidenheim 3-2. The hard-fought victory leaves them just one game away from a showpiece final, in their own backyard. Hertha have never made it that far since Berlin's Olympic Stadium was established as the regular venue back in 1985. Now, 'only' Borussia Dortmund stand in their way.